ICCL’15 will feature technical sessions, an excursion, keynote lectures, social activities, and a pre-conference workshop. 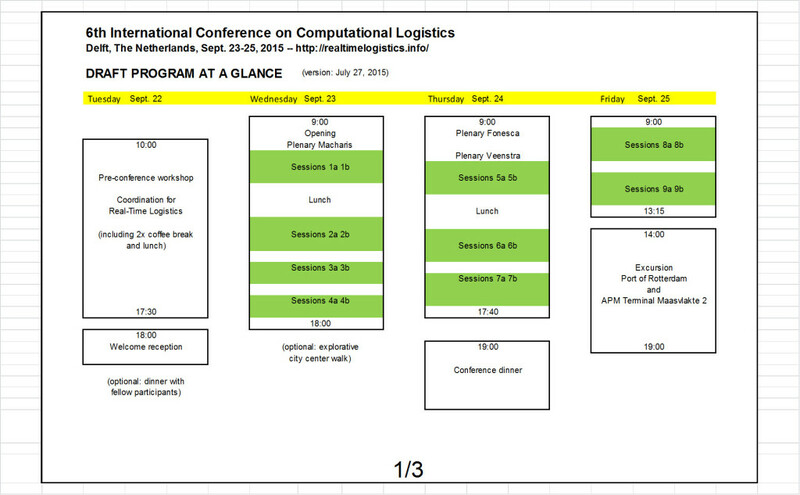 The overview of the program at a glance and detailed technical program are now available. APM Terminals is an international container terminal operating company headquartered in The Hague, Netherlands. It is one of the world’s largest port and terminal operators as well as providing cargo support and container Inland Services, and is the largest port and terminal operating company in terms of overall geographic scope operating a Global Terminal Network with interests in 64 operating port and terminal facilities in 39 countries on five continents, with seven new port projects in development, as well as over 160 Inland Services operations providing container transportation, management, maintenance and repair in 39 countries. The Port of Rotterdam is the largest port in Europe, located in the city of Rotterdam, Netherlands. In 2011, Rotterdam was the world’s eleventh-largest container port in terms of twenty-foot equivalent units (TEU) handled. 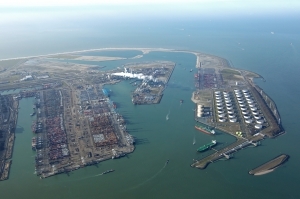 In 2012 Rotterdam was the world’s sixth-largest port in terms of annual cargo tonnage. Rotterdam consists of five distinct port areas and three distribution parks that facilitate the needs of a hinterland with 40,000,000 consumers. Logistical decision making problems are highly dynamic due to interactions between different entities with possibly conflicting objectives. Such logistical problems are extremely complex to solve, due to the need to handle multiple objectives, constraints, and nonlinearities, to name a few. Current trends in logistic systems, such as reduction of inventory and just-in-time deliveries, increase the challenge for coordinating freight flows. It is then of vital importance to exchange information among partners and continuously monitor the logistic system behavior. As a consequence, re-planning of actions is often required to achieve the best possible performance. This workshop consists of two parts: (i) Model predictive control for real-time logistics; (ii) The synchromodal hinterland transportation planning experience. 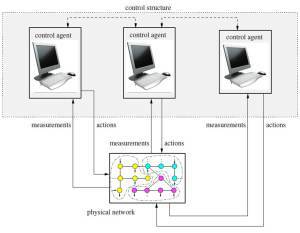 The first part of the workshop focuses on how model predictive control (MPC), a computer-based control framework that allows dealing explicitly with this type of logistical problems, could be deployed for achieving coordination. Due to its versatility, MPC has become very popular in many industrial applications and it has a strong potential to be applied in logistics– at individual equipment, terminal, port, and intermodal transport network level. This part of the workshop is the result of the efforts for creating a coherent and easily accessible overview regarding the field of MPC and its application to logistical decision making problems. The workshop presents a state-of-the-art overview in a very practical manner in order to cover centralized, distributed, and hierarchical implementations. To this end, the workshop introduces practical problems that demand the use of MPC algorithms and explains how to implement these algorithms in a programming language (e.g., Matlab). The use of communication between several MPC controllers to attain higher levels of coordination is addressed and illustrated with practical examples. Furthermore, it will be discussed how the integration of different hierarchical layers in this framework leads to a holistic control solution in this context. Clear directions of applications in the context of logistical problems and hints about potential research lines are also given. The second part of the workshop focuses on the synchromodal hinterland transportation planning experience: You will participate in the serious game SynchroMania, developed to demonstrate to planning operators the benefits and planning challenges of synchromodal hinterland transportation. The game has also been used to educate the concept of synchromodal transportation to students and transportation experts from business and academia. During the workshop you will experience in three rounds of approximately 15 minutes the challenging balance of planning efficiency and customer satisfaction. 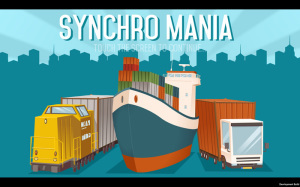 SynchroMania was developed in 2014 by ECT (operator of Europe’s largest container terminal), in cooperation with TNO (Netherlands Organisation for Applied Scientific Research) and Danser Containerline (inland container vessel operator in North West Europe). The game is used being used in the continuous development of European Gateway Services, ECT’s subsidiary for multimodal transportation. European Gateway Services transports more than 750.000 TEU yearly between Rotterdam, Antwerp and the hinterland of North-West Europe. A Graduate School Credit and Proof of Participation can be awarded after participation in the workshop. Prof.dr. Cathy Macharis is Professor at the Vrije Universiteit Brussel. 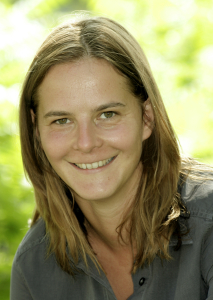 She teaches courses in operations and logistics management, as well as in transport and sustainable mobility. She has been involved in several national and European research projects dealing with topics such as the location of intermodal terminals, assessment of policy measures in the field of logistics and sustainable mobility, electric and hybrid vehicles, etc. She is the chairwoman of the Brussels Mobility Commission. Professor Cathy Macharis research group MOSI-Transport and logistics focuses on establishing linkages between advanced operations research methodologies and impact assessment. The research focuses on three major domains: sustainable logistics, environmental friendly vehicles and travel behaviour. Moreover she applies several socio-economic evaluation methods, notably her developed Multi Actor Multi Criteria Analysis (MAMCA) allowing an explicit involvement of the stakeholders during the decision making process. She has expertise and is author of the most topical books on city distribution and intermodal transport. She applies moreover advanced techniques in operational research to provide practical solutions to logistical problems that managers of large companies and policy makers of governments are facing. The decisive purpose of her multidisciplinary transport and mobility related research is to make mobility and logistics more sustainable. Prof.dr. A.W. 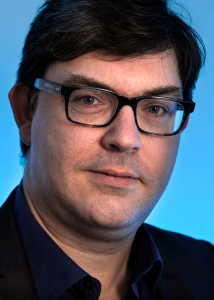 Veenstra is scientific director of the Dutch Institute for Advanced Logistics, Dinalog, and part time professor in International Trade Facilitation and Logistics at the Eindhoven University of Techology. He was senior business consultant at TNO from 2011 to 2014. 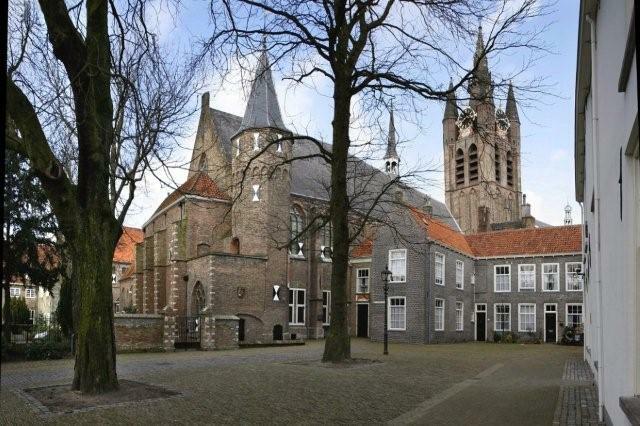 Before joining TNO he was assistant professor at the Erasmus University in Rotterdam from 1994 to 2010. Professor Albert Veenstra has extensive experience in the field of multimodal freight transport and synchromodality as well as in international freight transport and logistics. 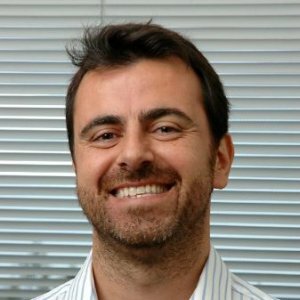 Albert was part of the scientific coordination team of a large integrated project in the 7th framework research program of the EU: CASSANDRA; a project that deals with innovation in compliance of businesses in international trade with rules and regulations of customs and other government agencies. Albert is part of several (informal) networks that determine the research agenda for the European Commission FP7 program, as well as vice chair of Working Group 1 (Supply Chain Management) of the European Technology Platform Alice. Albert is part of the steering committee on synchromodality of the Dutch Topsector Logistics and associate editor of the journal Transportation Research Vol. E.
Shipperform.com is cloud based platform to support shippers to manage their cargo, from negotiation to invoicing. Since 2012, this platform has been developed as a platform for shippers, to manage their transportation process in a standard and optimized way with their carriers. The biggest challenges for this industry is to provide “transparency” to their customers (shippers and importers), since the cargo leaves the warehouse and is delivered to the consignee, 30 days afterwards. The majority of the network of providers (carriers, authorities, haulers, terminals, forwarders, shippers, customs) is not yet prepared to communicate and work as an information agent provider to the ecosystem in a seamless way. One of the biggest shippers concern is about the tracking of their cargo. What solutions can be presented to them? This addresses several of the possible solution directions. Hugo Fonseca has since 1999 been entrepreneur and founder of several IT companies, delivering systems engineering services and focused on application development, database & infrastructure management, and leading projects in a wide variety of business areas, such as Transports and Logistics, with accounts and projects in Portugal, Spain, The Netherlands, UK, Germany, Turkey, Morocco, Angola and Kenya. 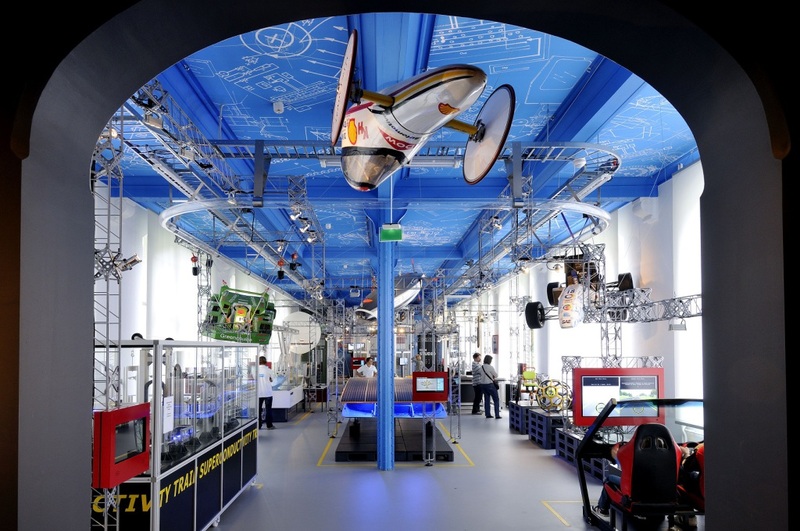 Free access to the Science Centre exposition, including access to the Amazing (Transport) Technology room.